The Wendt is a gorgeous plain air frame made of solid wood with small floral motif in corner. 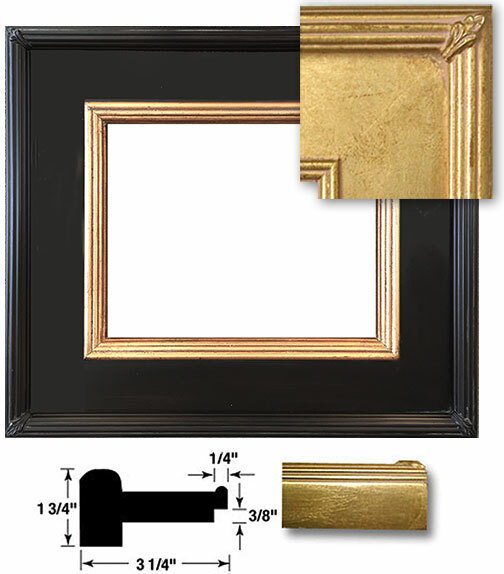 Frame border width measures 3 1/4". Dark Espresso with Gold lip or Light burnished Gold metal Leaf.